Spring break camps are available for students in the Washington DC area to enjoy sports, arts and crafts, nature activities and more. These programs are fun for kids and will keep them busy so that parents can work during school vacations. The following is a guide to winter and spring break camps in Washington DC, Maryland, and Northern Virginia. Ages 3-12. Winter and spring break camps provide a variety of structured games, activities, sports, arts and crafts, and field trips. Ages 5-16. The soccer camp offers a curriculum designed by full-time Academy and Pre-Academy coaches suits players to help develop the players’ technical and tactical understanding of the game while maintaining a fun environment. Programs are held during winter and spring break in Washington DC. Ages 6-12. 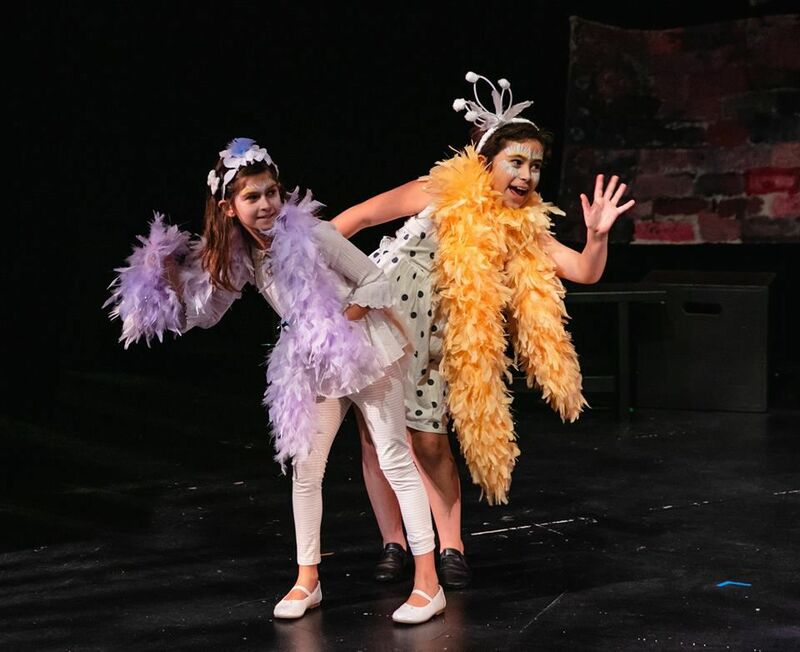 The school for the dramatic arts offers drama activities during winter and spring break from 9 a.m.-3 p.m. with an optional extended day until 5 p.m. Kids can come for just one day or the whole week. Ages 5-18. Winter and spring break camps include full-day theater training. School's Out Workshops are also available throughout the year, providing activities and childcare on scheduled days off. Ages 5-12. Workshops range from improv games to creative art projects to dance activities and puppet show fun. Ages 6 - 14. The arts center provides opportunities for students to work on projects including drawing, painting, sculpture, collage and more. Ages 3-15. The theatre arts organization offers morning, afternoon or full day camps in drama, dance, filmmaking, or a combination. After-care is available. All ages. Sports camps are available for a day or week of fun when kids have off from school. Programs in flag football, soccer, wiffleball, volleyball, basketball, kickball, team handball and more. Ages 6-12. The camps, offered at locations across Montgomery County, focus on a variety of interests including nature, archaeology, ice skating, tennis and more. Kids spend the week at recreational facilities such as the South Germantown Driving Range, Wheaton Ice Arena, Needwood Mansion, Cabin John Ice Rink, and more. All ages. Located in Darnestown, MD, the camp offers outdoor recreation (weather permitting) including archery, kayaking, and canoeing, archery, rock climbing, group games, scavenger hunt, capture the flag, creek walks, hikes, paddling on the river. Bus transportation is available from Bethesda, Potomac, DC, Rockville, Germantown and Gaithersburg. Ages 3-17. Programs include a wide variety of activities ranging from sports and science to swimming and nature activities. Ages 3-18. A wide variety of programs is available including creative arts, soccer, baseball, basketball, football, therapeutic recreation camp, stage and studio and more. Ages 5-15. Located in Ashburn, VA, full and half-day technology and activity programs include laser tag, swimming at the Claude Moore Recreation Center, fun time at NVGA Gymnastics, hands-on arts and crafts projects, access to a large collection of games, Wii and Xbox 360 consoles, indoor and outdoor organized sports including dodgeball, basketball, soccer, flag football, playground tag and more. Ages 4-14. Programs include a wide variety of activities ranging from sports and science to swimming and nature activities.